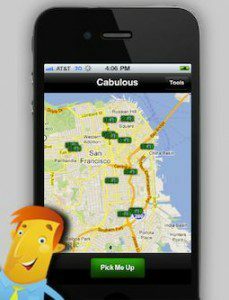 In 2011, Polanco Media was brought in to work with the team behind Cabulous (now known as Flywheel) to revamp their iOS driver and passenger taxi apps. We worked as part of their distributed team headquartered in San Francisco, to develop new features, and enhance the the app’s responsiveness with their custom hailing API. Cabulous was one of the first ride hailing services to market. Focusing on the taxi industry, the service featured integrations with taxi company adminstration tools.